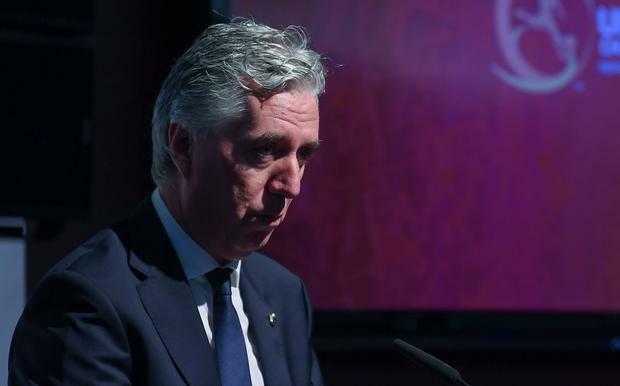 FAI workers should not become a “political football” in the worsening crisis at the association, a union has warned. Siptu said over 50 workers’ livelihoods should not be put at risk after Sport Ireland decided to withhold funding for the organisation. Sport Sector Organiser Denis Hynes wrote to Sport Ireland CEO John Treacy last night seeking an urgent meeting. He said he wants to discuss the impact of the decision to withhold funding on members. “Our members are justifiably concerned that this blanket withdrawal of funding could have a devastating impact on their livelihoods and on soccer in every community throughout Ireland,” he said. He said there are over 50 development offers directly employed by the FAI who work in communities to improve the game at grassroots level. “Our members are seeking assurances concerning how community level football will be developed and maintained throughout this extremely testing period for senior management in the association,” he said.